The as always excellent AusBT has the full rundown on a set of changes that will impact on anyone looking to redeem their Qantas Frequent Flyer points across Qantas’ network. 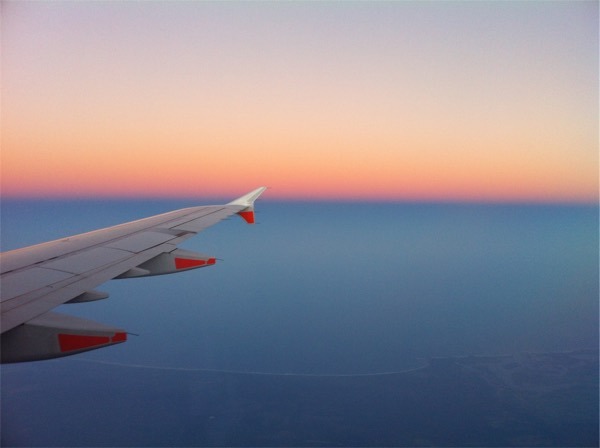 Previously, there had been a large disparity in the fuel surcharges paid as part of the booking, with Qantas operated flights coming in several hundred dollars more expensive than Emirates. Ironic, given you’re using Qantas Frequent Flyer points. 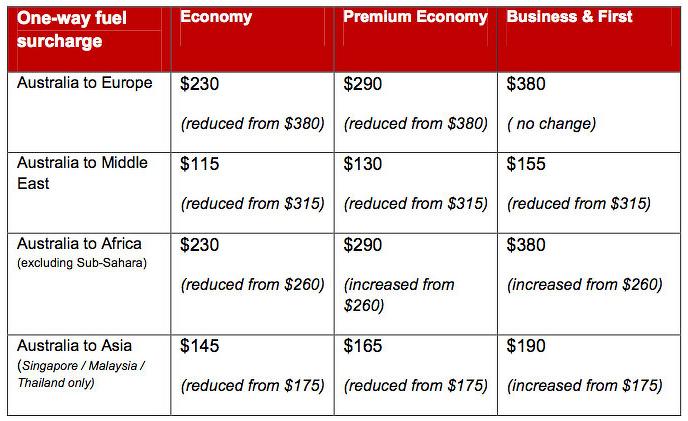 These changes only apply to points redemptions, and see reductions on the fuel surcharges payable when booking on Qantas operated flights in all routes in Economy, in most routes in Premium Economy, and mostly small increases in Business and First Class, with the worst hit being Australia to Africa redemptions where the fuel surcharge increases from $260 to $380. This is good news for Qantas Frequent Flyers who want to fly on Qantas operated flights – the premium cabin fees lift a little, but the Economy fees come down by a lot more, meaning your Qantas points have got a little more valuable. The downside? Emirates operated flight charges are increased, and in addition, Emirates Skywards are lifting their fees up to Qantas new level to meet in the middle, so Skywards members are out of pocket compared to previous redemption costs. Paid $450 fees on a Qantas J Class redemption MEL-LAX. Paid $17 for a J Class redemption JFK-PER via Milan and Dubai on Emirates. . Rip-off by Qantas as usual, but why should Emirates increase theirs? We don’t have the choice of flying QF from Perth to anywhere except Singapore, but now their greed will impact on our Emirates redemptions. Thanks for nothing once again Qantas. Fully agree that any traveller outside of Sydney and Melbourne are thoroughly underserved by QF – shame they don’t see the opportunity that the likes of Cathay, Singapore, Emirates, Etihad and the like all do. At the least I don’t see how having EK service those markets to Dubai instead of their own A330s is a good thing for Qantas in the long term.